We are excited to announce an open call for STEMteacherNYC’s Kid Talk, Teacher Talk in Elementary Science (KT3) program. We’re looking for elementary school teachers who would like to be involved in a paid professional learning program focused on empowering teachers to design and implement lessons that engage and motivate students to explain natural phenomena and to solve engineering problems. Now accepting applications for Kid Talk Teacher Talk in Elementary Science, a paid professional learning program for K-3 teachers in the NYC area. Are you interested in developing an active STEM learning environment where students investigate how their world works? Do you work with primary age (K-3) students? Would you like to learn strategies for facilitating discussions that center on your students’ ideas and build students’ abilities to explain science phenomena? If so, you are invited to participate in STEMteachersNYC’s professional development project called Kid Talk, Teacher Talk in Elementary Science. Kid Talk,Teacher Talk (shortened to KT3) is a professional development program funded by a 100Kin10 grant. The project is designed to engage teachers across the New York Metropolitan area in the pursuit of excellent science teaching and learning. Workshop time is devoted to designing and implementing lessons that engage and motivate students to explain natural phenomena and to solve engineering problems. Teachers learn specific facilitation strategies that improve their students’ ability to communicate their thinking, cite evidence, and build ideas through discussions.The first cohort of 26 teachers is currently collaborating and implementing lessons learned to improve science instruction in their classrooms. Now we’re looking for 26 additional teachers to join us for Cohort 2. Participation in KT3 begins with an invite to an orientation workshop on April 28, 2018 at Teacher’s College Columbia University and continues with a commitment to a full time, 10 day summer institute in New York City from July 23-August 3, 2018. The summer institute includes professional learning time as well as a lab school component where you can practice what you are learning with students for a few hours each day of week 2. During the 2018-19 school year, the project team will continue to support you in implementing what you learned through virtual and in person workshops. Teachers will be paid a $1600 stipend (in multiple installments) for their full participation. Full participation includes attendance at the summer institute and follow up workshops in the 2018-19 school year, completion of surveys, a commitment to implement what you’ve learned as evidenced by videotaping or observations in your own classroom, and a willingness to reflect on your learning. Currently employed teaching in any grade K-3, with the expectation of similar employment in the 2018-19 school year. Grade level generalists (e.g. 1st grade, all subjects) and science/STEM specialists are equally encouraged to apply. Commitment to a teaching approach that fosters students’ capacity to think for themselves and to work collaboratively. Willingness to do hands-on investigations with everyday materials, including getting one’s hands dirty, and comfort with encouraging children to do the same. 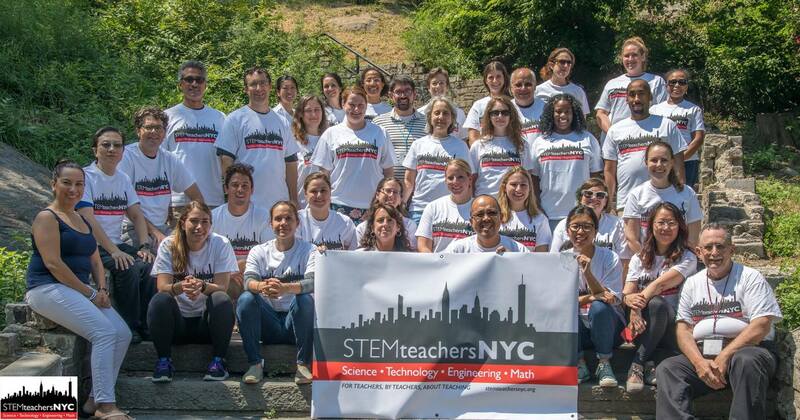 For further information regarding this project, please reach out to Chris Kennedy, Program Director for STEMteachersNYC at chris@stemteachersnyc.org. If you’re not a K-3 teacher, please circulate this invitation to teachers you know who are likely to be interested.